In a stunning display of early-season form, Black Fish Cycling domestique Alex Rodgers set a club-record time of 41:15 for the climb from the Toll Gate to Mt Lofty during a training ride on Saturday, 8th October 2011. Rodgers (pictured, in an early - and unorthodox - training camp with European squad member Michael Nissen) had controversially eschewed the traditional late-winter training regimen of half-arsed trundles up Norton Summit in favour of a punishing schedule of regular Sufferfests and multiple solo assaults on Mt Lofty. His approach had been a source of considerable frustration to him in the weeks leading up to the record, as his extraordinarily detailed knowledge of the route appeared to make little impact on his times. But in a single spectacular ride that left team-mates Edwards and Weeks in his wake, he silenced the critics and positioned himself as the team's in-form climber leading into the summer season. 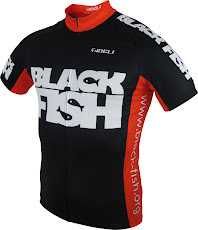 With the team's two leading climbers, Rodgers and Whittle, planning last-minute altitude hepatotoxicity training in the US in early November, the Black Fish appear poised to dominate the domestic riding season.